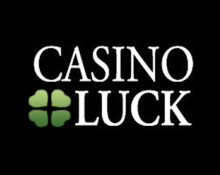 Casino Luck – Spring Promo! Claim energizing deals this week! Use code: CLSPRING for the reload bonus! Fresh reload bonuses and Free Spins! Get ready for spring at Casino Luck with their latest promotion running from 4th to 9th April 2017. As usual the fun starts on a Tuesday, lasting all the way to Sunday and includes Free Spins, Raffles as well as generous Deposit Bonuses. This week Casino Luck has chosen nature themed slots for their “Spring Promo” and admittedly there are indeed some very exciting games included. 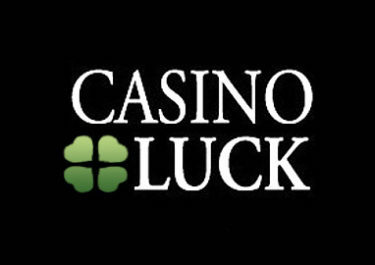 Not yet trying your luck at Casino Luck? Then sign-up now and enjoy their awesome €/$/£ 500 Welcome Package plus a massive 250 Free Spins. Play at Casino Luck from 4th to 9th April 2017 and you can claim a daily offer for Free Spins, Deposit Bonuses or take part in a Raffle. Qualifying deposits and game play varies. The Free Spins winnings carry a 50x and bonuses a 13x Deposit + Bonus wagering requirement. Casino Luck Bonus Terms and Conditions apply. Launched in 2011, the casino is owned by the acclaimed Minotauro Media Ltd and operated on the Everymatrix platform under Curacao, MGA Malta and UK Gambling Commission licenses. On offer are a huge 1,000+ games on desktop, mobile and tablet from Netent, Microgaming, Betsoft, IGT, NYX, Quickspin, Play’n Go, Lega and ISoftBet while the LIVE Casino tables are provided by Evolution Gaming and Microgaming. An extensive range of currencies and payment methods such as Visa, MasterCard, Maestro, Solo, Instant Banking, Neteller, Skrill, Ecopayz, Entropay, Zimpler, Poli, Paysafe Card, Bank Transfer ensure fast and secure withdrawals. The site is available in a staggering 12 languages and customer support is provided via Email and Live Chat. Casino Luck – Reality Hunters Promo! Casino Luck – Mighty Vikings Promo! 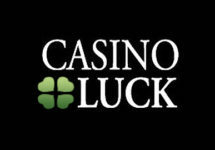 Casino Luck – Extreme Horror Promotion!